Every year, the Oxford Dictionaries select a word that they think attracted the most interest during that particular year. Last year, that word was ‘post-truth’: “an adjective defined as ‘relating to or denoting circumstances in which objective facts are less influential in shaping public opinion than appeals to emotion and personal belief’”. This was something quite different to the parody news shows like Jon Stewart’s Daily Shows or our own ZANews that had been around for a while and actually helped audiences understand news better because they highlighted contradictions or absurdities without pretending to be the real thing. A few months later: January 2017. 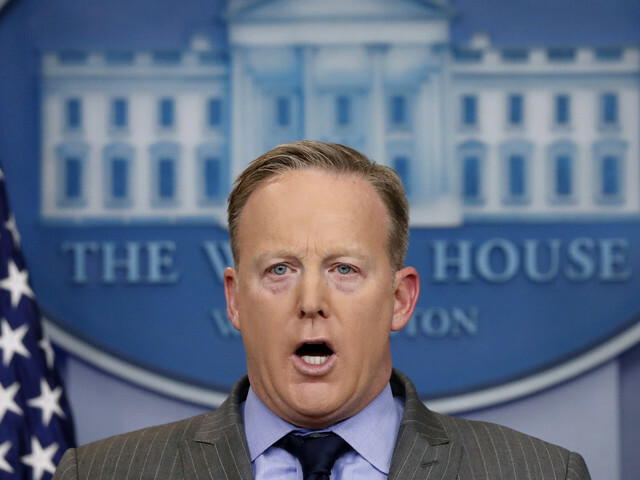 Barely has the new leader of the Free World unpacked his extra-strong hairspray in the White House bathroom, or his press secretary Sean Spicer meets the press for the first time and elaborates on the post-truth theme, inflating the size of the audience at Donald Trump’s inauguration and making a series of incorrect claims about the day’s events. After he was caught out, his colleague Kellyanne Conway defended him by saying he wasn’t telling lies, but – and here she coined what very well might be a contender for this year’s Oxford Dictionaries word of the year – he was merely presenting ‘alternative facts’. It might not be a surprise that this disrespect for facts comes from an administration of a president whose election campaign was mired in allegations about the spread of what has become known as ‘fake news’ – news reports that mimic the style and approach of legitimate news reports, but are fabricated and blatantly untrue. This is what a post-truth era looks like – a news landscape where it is increasingly difficult to discern truth from lie, and where social media have become the battlefield for propaganda warfare. This situation is not limited to the United States. Earlier this week, it was claimed in court papers that the ANC ran a covert ‘War Room’ ahead of last year’s municipal elections. This allegedly included printing fake election posters to discredit the EFF (which is a breach of electoral laws) and creating a network of social media ‘influencers’ to push certain topics on Twitter and Facebook, and a news site The New South African to promote an ANC narrative. It is now alleged that the ANC never even paid the PR consultant for work delivered on this campaign, although the party denies all of it. If social media is the theatre of this new propaganda war, Twitter is where the deepest trenches are dug. Hundreds of fake Twitter accounts have been created to discredit critics of the Guptas and their relationship with Jacob Zuma as being under the control of ‘white monopoly capital’. Fake tweets, photoshopped pictures and posters, malicious gossip and rumour are the weapons deployed in this dirty fight. Then there is news planted in supposedly reputable news outlets by those driving a similar political agenda. The story of a bogus ‘rogue unit’ that supposedly existed at SARS was fed to the Sunday Times who swallowed it hook, line and sinker and did the newspaper’s reputation a lot of damage. This is of course not the first time in our history that a propaganda war was fought in the media. Imagine if Eschel Rhoodie had access to Twitter – what fun the Nats would have had. The contemporary news ecology is a place where mainstream news outlets do not have the monopoly on breaking news anymore. Some of the most incisive analysis can often be found online on independent platforms or individual blogs, and social media have caused ‘filter bubbles’ where users can surround themselves by others who share and confirm their views and entrench pre-existing beliefs. In this environment, a much greater burden for sifting the wheat from the chaff has been placed on audiences – or, as American media scholar Jay Rosen has called them, the ‘people formerly known as the audience’. Because everyone with a Facebook account or Twitter handle are now not only receivers, but co-creaters of information who can post, share and pass on information. All media users have an ethical responsibility to ensure they are media literate and can critically assess the information they receive, and think before they share or retweet. The rise of fake news may have a positive outcome for mainstream news outlets to whom audiences may start returning after they have deserted them for more individually-tailored online sites. But other factors, like the distance between elite news platforms and the majority of people, especially in a highly unequal country such as South Africa, is likely to mean that while people may trust the veracity of news in mainstream sites, they may not feel that it resonates with their daily lived experience. Our research has shown that especially young people struggle to see the relevance of the news they find in mainstream outlets for their daily struggles. Consider the way in which community protests are often covered in mainstream media: as traffic disruptions that inconvenience suburban commuters, with very little attempt by journalists to listen to protesters and find out what their grievances are about. Individual journalists with street-cred or a sensitive ear to the ground may be those that in the end remain with their reputations most intact. In other words, for reputable media outlets and journalists – whether they belong to big commercial operators or act as freelance journalists providing comment and analysis online – to counter the deluge of fake news and regain the trust of cynical audiences, it would not be enough just to provide verifiable, accurate facts, although this would be the obvious place to start. Facts are not the same as truth. The truth is facts placed in proper context, facts used to create meaning, information that resonates with people’s experiences and makes a difference in their everyday lives. This requires listening, grassroots networks, analytical skills and a depth of understanding that goes beyond fact-checking. For the latter, fact-checking, there is always Google. The former is what used to be known as real journalism.